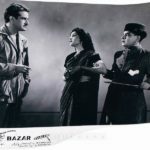 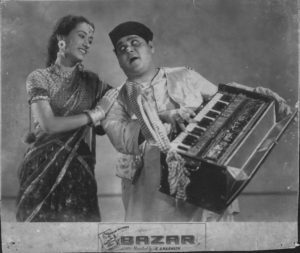 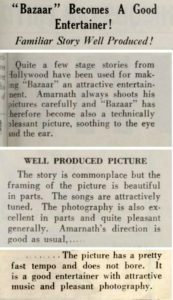 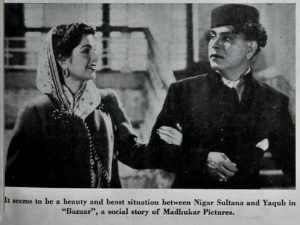 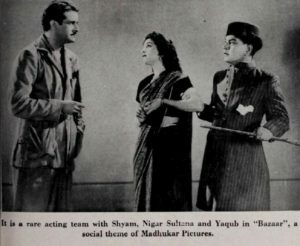 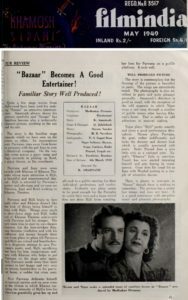 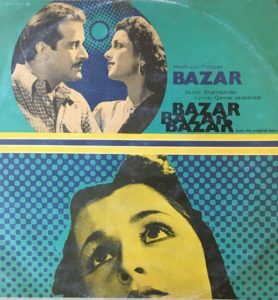 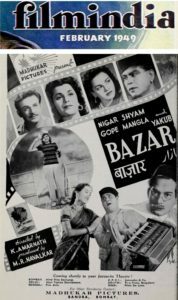 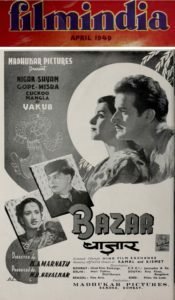 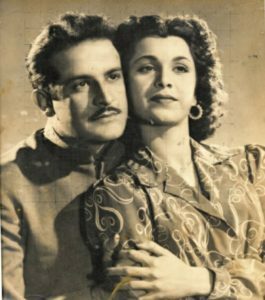 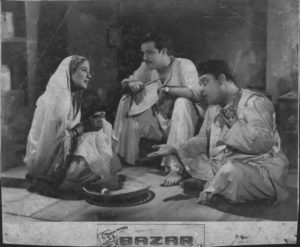 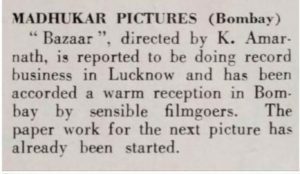 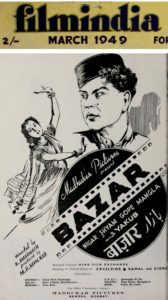 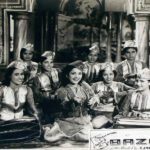 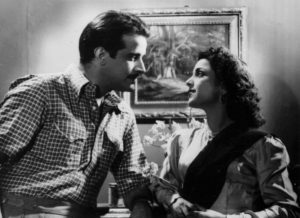 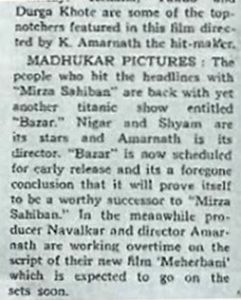 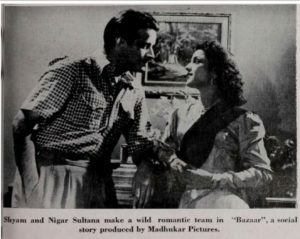 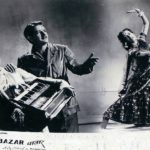 Bazar, a semi-musical, family drama, released in 1949 starred 2 of the top stars of the 40’s and 50’s – Shyam (the handsome hero) and Yakub (the comedic villain). 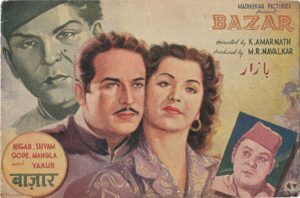 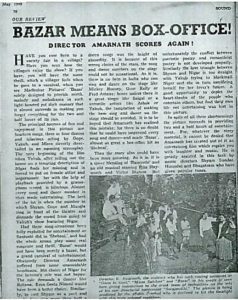 Bazar was one of the most famous movies of actor Shyam. 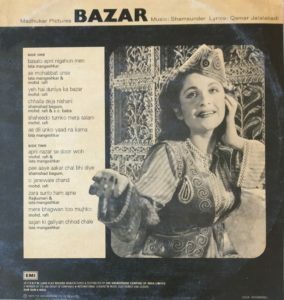 as one of her ten best songs.